Having a suit made for your wedding is without doubt one of the major decisions of your life, considering that your wedding photo will be hung on the wall of your living room for the next decade. Following the movie Kingsman, starring Colin Firth, the double-breasted suit is seemingly coming back into season. 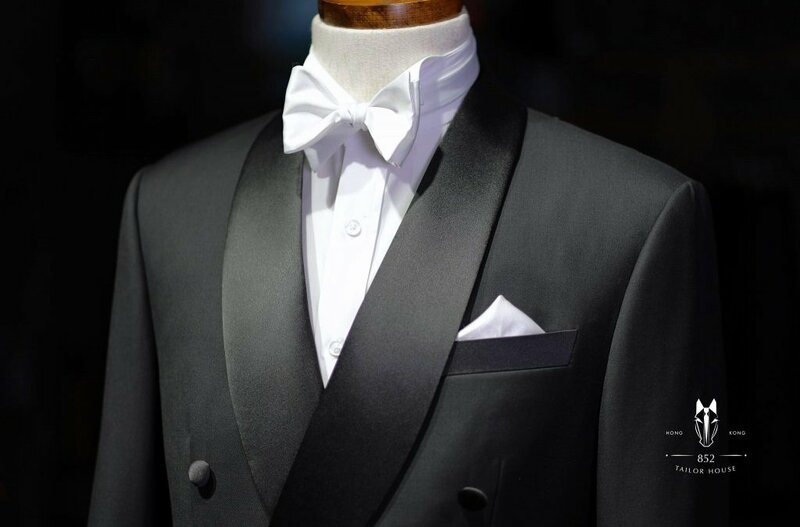 Apart from the traditional Tuxedo, you may tailor-made a double-breasted one. Combining it with the traditional shawl lapel, it will give your Big Day a classy touch of Royalty. Tailor-made one for yourself, in oppose to renting one for the big day, you can own it in your wardrobe for any black-tie events that you will need to attend in the future. 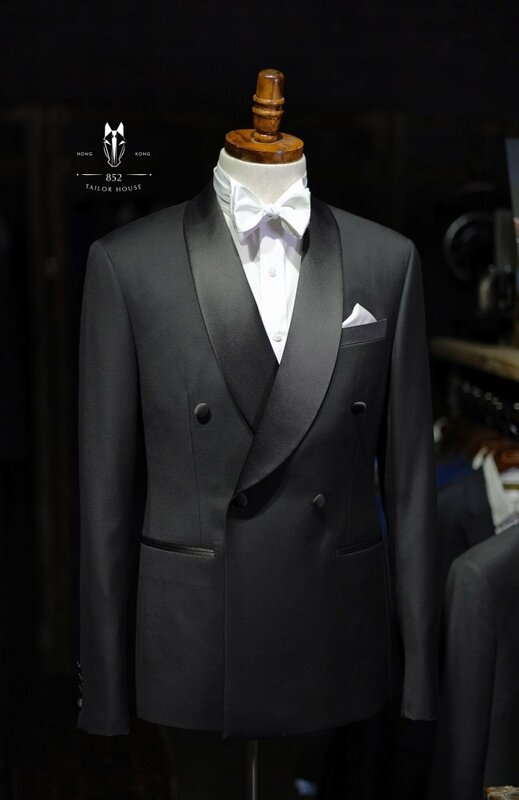 This pure black Double-Breasted Tuxedo by 852 Tailor House above, is made of Fabric from the Italian Brand VBC (Vitale Barberis Canonico). It is taken out of the Perennial Solids Super 110’s collection. At 260g/m, it may not be the lightest of fabric, but sufficiently comfortable. 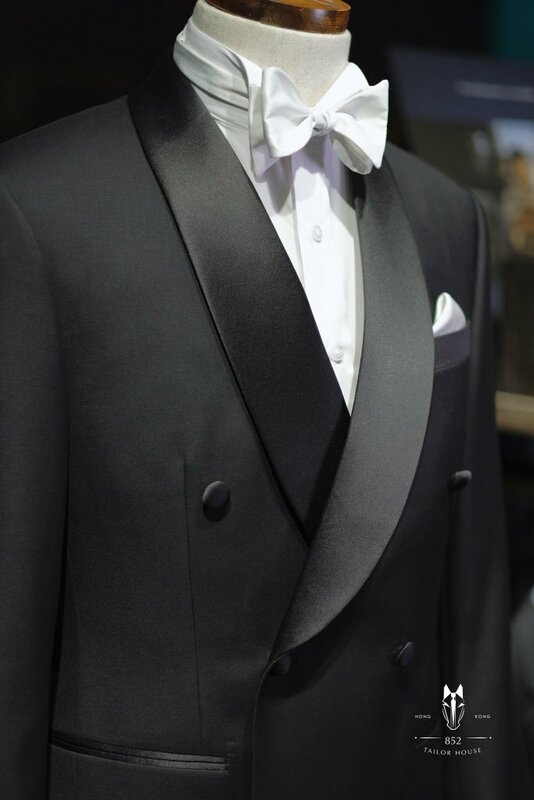 Simply put this Double-Breasted Shawl Lapel Tuxedo on, it will immediately give you the classy glow of Royalty.